In the meantime, here's a little about Sparrow and we'll chat on the other side. I love when books bring me back to characters I've already fallen in love with, so opening the first page and seeing Sera was like curling up with a familiar friend. The story begins on a cliffhanger with Sera and William, and how it'll resolve is initially what has you turning pages. But soon you meet Kaja and her story simply pulls you in. Through these characters Cambron weaves a story that connects through the years and speaks to the strength of love. An unfailing love. A love that can look past the darkness and still see hope. 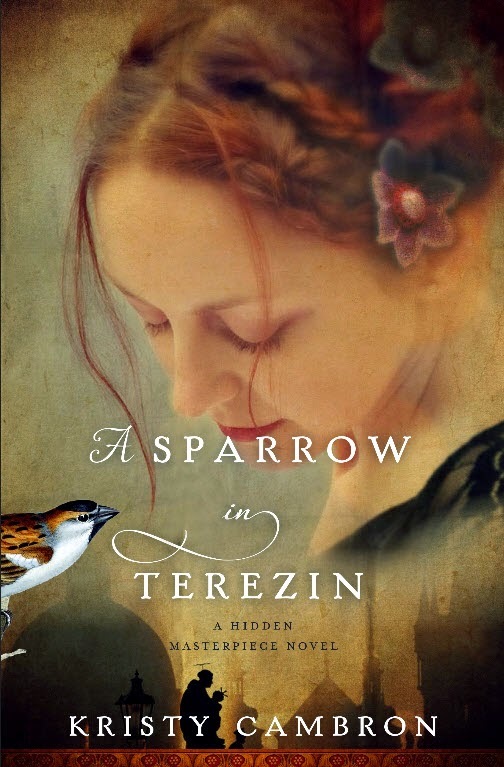 I happily give A Sparrow in Terezin 5 out of 5 stars, and you can purchase it here. And if you missed it, Kristy visited on Wednesday and shared her heart all about two little words: thank you. If you haven't read it, take a moment today (here) as we look toward Resurrection Sunday and find so much to be thankful for. Thanks for sharing, Susan. Happy Easter to you and your family!